Melbourne Named The Best Places to Live Near the Beach in the U.S. The secret is out! Our little slice of paradise is officially on the map! 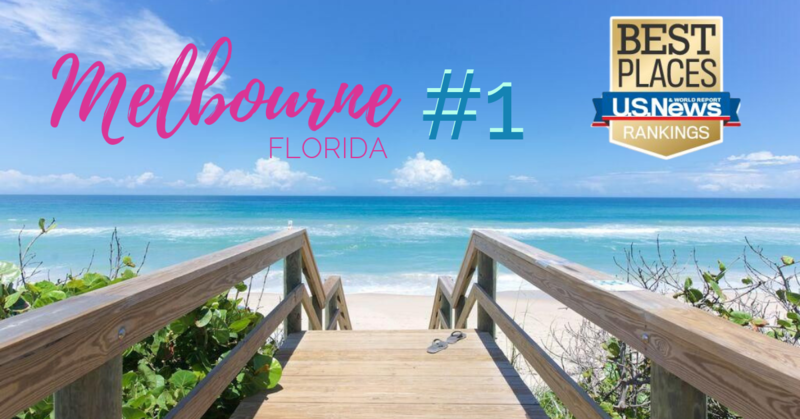 Melbourne, Florida was just ranked as NUMBER ONE in U.S. News & World Report's list of "The Best Places to Live Near the Beach in the U.S."
In addition to the local climate and ease of access to the beach, the list factors in the area's affordability, job market, morning commute, and access to quality health care, among other details. Taking all of these elements into consideration, it's easy to see why Melbourne was Voted #1!